The other day, I came across my travel keychain collection in one of my drawers while I was reorganizing the bedroom. It made me a little sad to think of them tucked away somewhere not on display until I figured, why not just turn them into ornaments? So I pulled out my bag of extra ornament hooks and went to town! Please forgive my poor broken Pisa keychain...the leaning tower used to be there, but it fell off and is forever lost. I'm still hanging onto the rest of it though, as you can see! 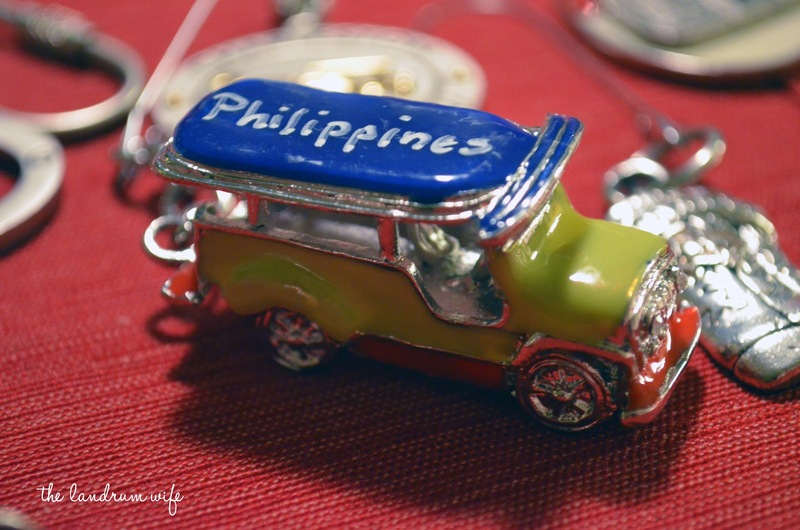 And also this cute little jeepney from the Philippines! It makes me a little happier to think of these little guys gracing our Christmas tree each year (as well as any new additions we'll come across), and how fun it'll be to explain where each came from when we have kids. 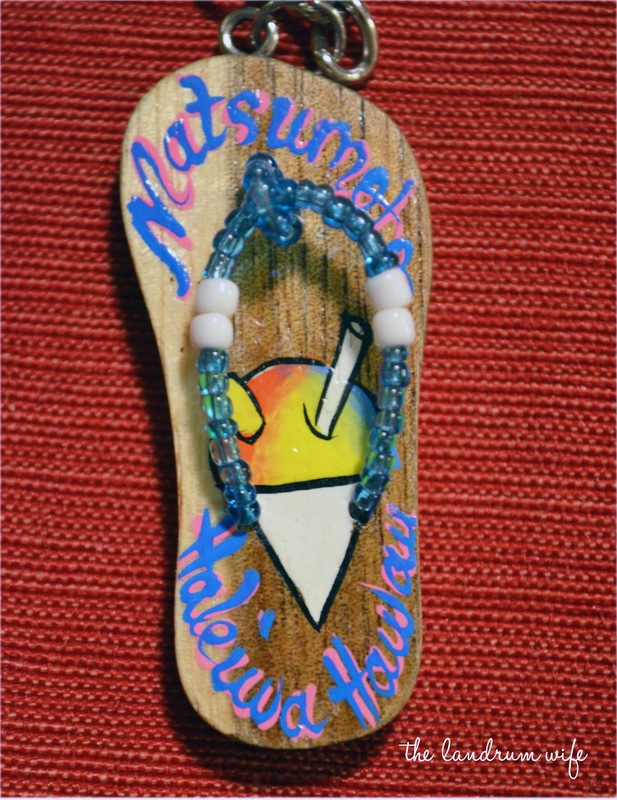 Do you collect little mementos from any of your trips? 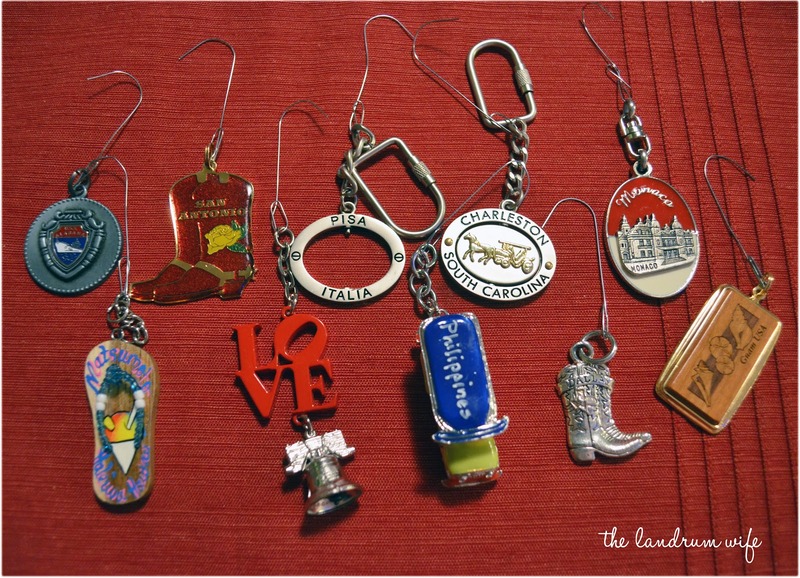 What do you do to showcase them to remind yourself of your travels? Thanks! I'm just happy to be able to do something with them besides keeping them in a drawer. It would end up being a big mess if I actually used them as keychains! Haha.